Who does not know that sweets add to your calories? You have certainly ruled out all those foods that add this taste to your diet chart, right? However, being a sweet lover and not being able to eat sugary dishes is undoubtedly a painful situation. Do you always stretch your hand out to grab that big piece of chocolate cake but stop yourself thinking that it will spoil your diet? You can’t even think of finishing your meal without a dessert but the thought of calories bring in wrinkles on your forehead. Well, if that is the case, then there are many ways to satisfy your sweet-tooth and that too without any worries of putting on extra kilos. Below are some low calorie foods that will sweeten your taste buds as well as provide you the essential nutrients which will keep you healthy, slim and beautiful. 1. Add more red to your diet with Strawberries: Think of strawberries, a bunch of juicy bright red fruit – yummy! Isn’t it? Not only it is a delicious fruit, but it also contains a lot of vitamins and minerals within its soft pulp. Savoring 12 strawberries a day can satiate your hunger for sweets and what more is that, they contain only 48 calories. You can have it as your dessert after your lunch or supper and enjoy its ample benefits. Not only that! Its oozing red color contains Anthocyanin that helps burn your already stored fat. Hence, go slim with strawberries and cut down on your calories. 2. Love Chocolates? No more sacrifice: It is a well-known fact that chocolates increase your calorie intake and contributes to your weight gain. But many of you are still unaware of the numerous benefits that dark chocolates offer. 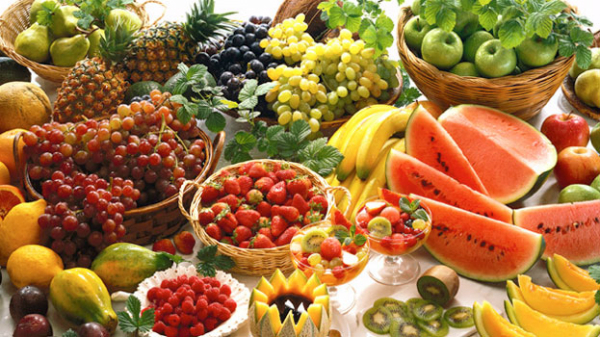 Not only in terms of taste, but they are also very high on nutrition quotient. Just 1 square of dark chocolate will provide you a lot of minerals and you need not worry about your extra kilos as it contains only 27 calories which is equal to any other “diet-friendly” food. Therefore, no more craving for sweets, indulge your taste buds with dark chocolate. However, do not overdo it as this will result in accumulation of fat around your body. 3. Cute Cherries: Cherries are no doubt a healthy fruit but how many of you have tasted it without the rich creamy pastries? Cherries have always been used as a topping on the cakes but this tiny round fruit has many benefits that you might not be aware of. Cherries taste sweet but they are low on calories. So, if you are on a strict low-cal diet, take 12 cherries in a bowl and relish them when your heart yearns for a sugary delight. Cherries will provide 48 calories that will easily get burnt during metabolism. 4. Peach helps you lose weight: Peach helps you lessen your extra kilos – Sounds paradoxical, right? Though it has a sugary and tangy flavor, it cuts down on the excess calories by giving you a satiated feeling. It can be a perfect snack if you are striving to get slimmer and following a rigid diet. They can also help you fight obesity-related issues like diabetes and heart diseases. By only adding around 40 calories for one peach, it can keep you safe from quite a few diseases. Stay away from the “c”- word with this yellowish red fruit. Apart from keeping you on the sleeker side, these also make your skin glowing, and give you a gorgeous and healthier look. 5. Half apple a day, keeps heaviness away – In order to stay fit and slim, you must be avoiding all those sweet delicacies and munching on bland crackers. But do you know that crackers do not nourish you in any way, rather the flour affects your digestive system and hinders bowel movement. Instead, cut an apple in halves and nibble one part when your tummy wants an appetizer. Apple is rich in vitamins A, B, E, K along with numerous minerals and contains only 36 calories. Adding apple to your diet chart not only enhances its quality but also satisfies your sweet-tooth. Welcome sweetness to your life with these top five foods that will not slide you out of your diet rules. Moreover, these will enrich your food chart and supply you the necessary nutrients for proper functioning of your body. Say “bye” to sugary junk foods and shake hands with these healthy sweet fruits. ← Counting Calories on Cheesecake Day July 30 – Myth Or A Possibility?